The client had an existing website that was not responsive and did not reflect their brand. 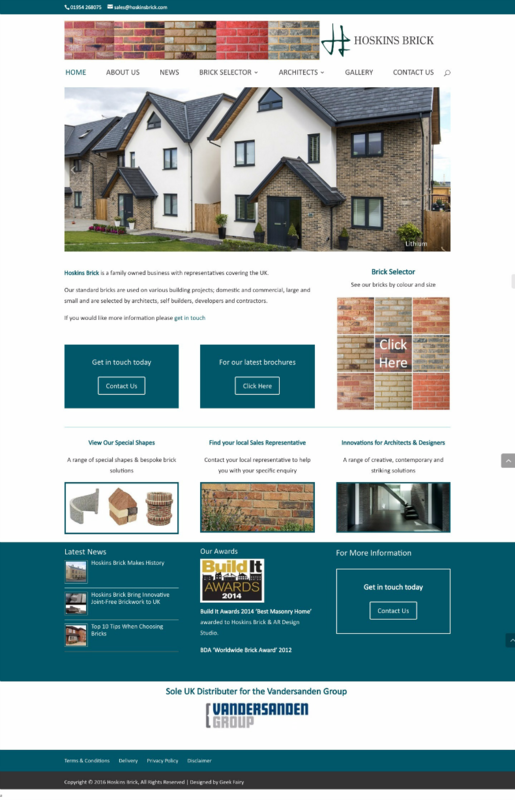 The site has 90+ pages, with 59 separate brick pages, all with brick samples and a slider of example images. The brick selector page had to have several options with clear images that went to the brick selected easily. The site incorporates a news page where the client can add updates to it with images.